Hiring a fun casino for your event should be a simple, enjoyable, and above all, pain-free process! If you’re new to the concept of a fun casino, this simple five point guide will help you make the right choices for your event. There are hundreds of fun casino companies up and down the country, offering a similar service at various different standards. 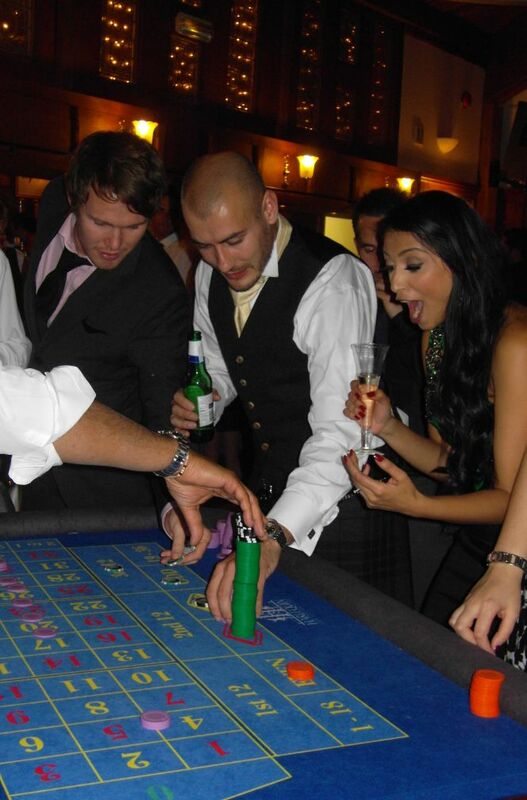 It can be a daunting task if you’ve been given the job of booking the fun casino for your event. Rest assured that most fun casino companies offer a great level of service, and if we at Harlequin are not able to help you on your chosen date, we are in touch with some highly reputable fun casino companies who we are happy to vouch for and only too happy to put you in touch with. Harlequin Fun Casino are fully insured and offer Public Liability up to £2,000,000 for your peace of mind and that of your venue too. Step One: Do some research online. Have a look at all of the available fun casino hire companies, and try and select one who look the most professional and slick and seem the friendliest on the phone. Look for beautiful tables and attention to detail. Make sure the casino tables they have to offer you are the real deal – full size, well presented with no unsightly marks or stains on them (believe me, I’ve seen them!) Speak to the supplier on the phone and ask lots of questions. You’ll thank yourself for doing it later! Step Two: Shop around and get some prices in. Just because a service is cheaper, it doesn’t necessarily mean it’s better. Similarly, avoid over-priced hire companies who charge too much for a sub-standard product. Ask them what their tables are like? Size, condition etc. Price is important, of course, but always try to weigh up other important elements too – sometimes it’s worth paying a little bit extra for a premium product, other times, you are being over charged. The only way to really know is to shop around and see what is offered for the prices you are quoted. Always check and find out if charges are included in the fee, such as travel costs, set-up costs and delivery. It’s always good to book your casino early to avoid being disappointed, but if your event is in July, August or December, the busiest months for a fun casino hire business – it’s even more important to grab your date early. The earlier you book, the more likely you’ll be able to get one of the best fun casino hire companies to host your event! Don’t leave it until the last minute or you’re likely to have very little choice over who to book. Step Four: Consider having a theme. Props and accessories can really add to an event. Cardboard cut-outs, banners and red carpets and ropes will look great and add something extra to your special night, making the venue look fantastic! There are lots of great themes that work well with a fun casino, like Hollywood, James Bond, Las Vegas and many more! Different companies offer different extras so always ask what they offer when you’re enquiring. Once you’ve done some research, spoken to a few people and decided on a date, you’re ready to book your fun casino! A fun casino party is such great fun for all ages, so if you’re thinking about having fun casino tables at your party or event, get in touch today and we’ll talk you through all the different options.